Business in the 21st century is quite unlike anything we’ve ever seen before. Long gone are the days where people would barter and haggle at the point of sale; long gone are the days where you had to carry enough cash on you to pick up whatever it is that you need from the store. Sales transactions in the 21st century are all about speed and convenience – the faster and more efficiently you can complete a sale, the happier the customer. The happier the customer, the more likely you are to win repeat custom. Investing in a modern business payment system, therefore, is the first step on a self-perpetuating cycle of building a better business. Electronic Point of Sale (EPOS) machines are one of the prime piece of technology bringing the world of high street retail into the modern era. Simple, sleek and compact, these touchscreen interfaces replace the old slow PC-based tills that were popular at throughout the early 2000’s. What’s more is that in many cases the screen even detaches as a portable tablet EPOS, making mobile sales easier than ever. This also allows management to take the EPOS with them to the office to work from home if they want to – the beauty of this system is that it stores sales metrics and inventory data, providing real-time reports for anyone who wants sales data at any given moment. 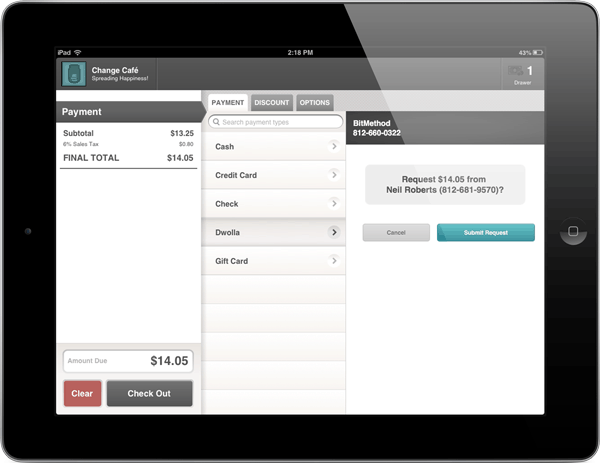 If you want 21st century business payment systems at your store, this is the way to go. Contactless cards are one of the best ways you can propel your payment into the future. Rather than passing a chip and pin machine back and forth over the till, you can simply beep a card a move on. Simple, efficient and incredibly easy to use. The next step after beeping your card to a card reader is, of course, beeping your phone on the reader instead. The bonus to using Apple Pay is that unlike a contactless card, it’s much harder to use a stolen Apple Pay account. This offers convenience with security, but only to people who buy into Apple. Obviously not all trade in the 21st century is carried out on the high street. WooCommerce is a payment platform allowing WordPress users to create their very own e-commerce store as part of their normal website. On top of being easy to use for all parties involved, it comes with some surprisingly powerful features for the managers running the store. Bitcoin is without a doubt the currency of the modern era. Even the term ‘cryptocurrency’ sounds cool. While there are several important considerations to bear in mind when looking to move to this method of payment, the potential sales you could generate by offering transactions in this currency could be significant. Depending on your business it could be worth taking the time to consider what Bitcoin could offer you. ACH Payments gives a robust online platform for businesses looking for an international payment gateway. If you’re looking to sell products that you could feasibly ship overseas, having an ACH gateway in place could help you modernise your payment system. One of the benefits to Amazon Payments is that everyone has heard of heard of Amazon and the significant majority of people already have an Amazon account. This is very similar to ACH, with the main difference being that Amazon already has your customer’s card details. This simplifies the sales process, and can even help customers make that impulse buy when they don’t have their wallet to hand. Again, it is almost impossible to have gotten this far into the 21st century without having heard of PayPal. As one of the most popular payment services in the world, this sales platform is pretty much ubiquitous across the web. If you don’t offer PayPal as a payment system you’re actively hampering your own sales. PayPal operated in 26 currencies across 193 markets around the world. That’s 137 million people who can potentially buy from you with (almost) unrivaled convenience. The funny thing about being as popular as PayPal is that people will try to emulate what you do – sometimes they may even do it better than you. Dwolla is a recent competitor to the international giant that is PayPal, with the main difference being that you can use it to send money by email, by text or through social media. It’s incredible for stores carrying out transactions of less than $10, with a minimal fee ($0.25 per transaction) for anyone looking to spend more than that. When it comes to doing things online, there is very little that gets past Google. Google Wallet is basically Google’s answer to PayPal. The difference here is that unlike PayPal, Google will soon be releasing a physical card so that you can pay for goods online and in person all using the same account. The sheer convenience that this could offer is utterly incredible, especially when paired with the security you get when working with company as large as Google. Great content. Thanks for sharing such a helpful guide.